A young girl informs her father she’s been kidnapped and asks him to bring the ransom money. Panicked, her father and brothers go to Tehran to look for her. They are unaware, however, that the girl has in fact eloped with her boyfriend and now spends her time in the company of a band of street musicians. Following the arrest of the band leader and full of the love for her boyfriend, the young girl descends an uncertain path. Festivals: Venice International Film Festival, BUSAN International Film Festival, Chicago International Film Festival. 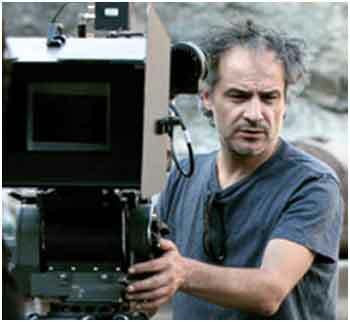 Born in 1962 in Tehran, Iran, Shahbazi is a filmmaking graduate of the ‘Tehran Cinema College’. During the early 80s he began writing short stories and directing short films. He edited several films and directed 12 shorts before making his first feature film, Traveler from the South, in 1996. Malaria is his latest feature. His debut feature, Traveler from the South (1997) as well as his second film, Whispers (2000) has been screened at countless festivals bringing him international recognition and several awards along the way. In 2002 his third film, Deep Breath, was selected for the Directors’ Fortnight section of the Cannes International Film Festival receiving great critical acclaim. Filmography: 2016: Malaria, 2013: Trapped, 2009: 14 Karat, 2003: Deep Breath, 2000: Whispers, 1997: The Traveler from South.